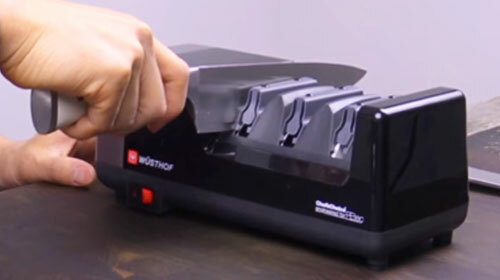 Knife Blocks preserve your entire knife collection while still leaving counter space. 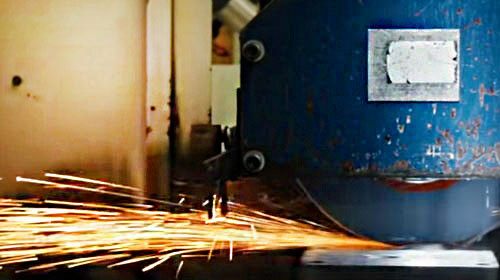 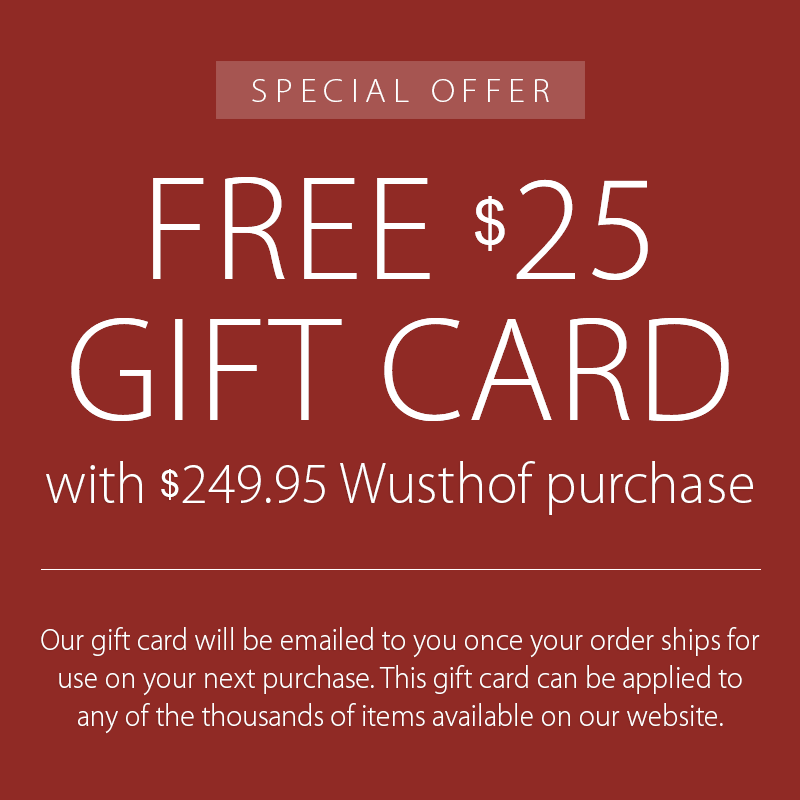 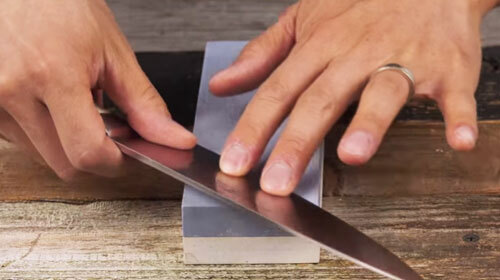 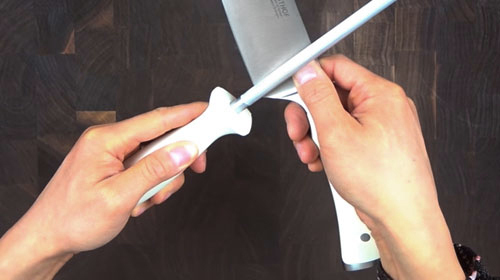 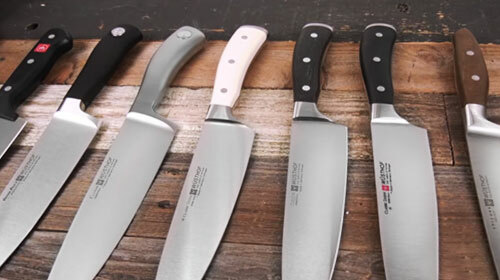 Perfect for bird's beak paring knives, filet knifes, chef's knifes, santoku knives, sharpening steels and more. 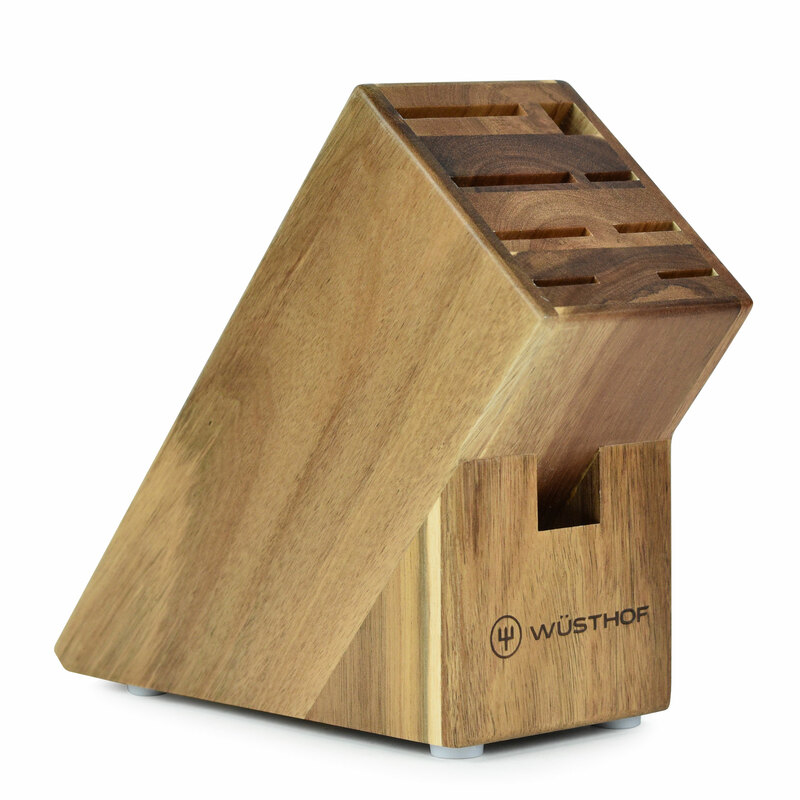 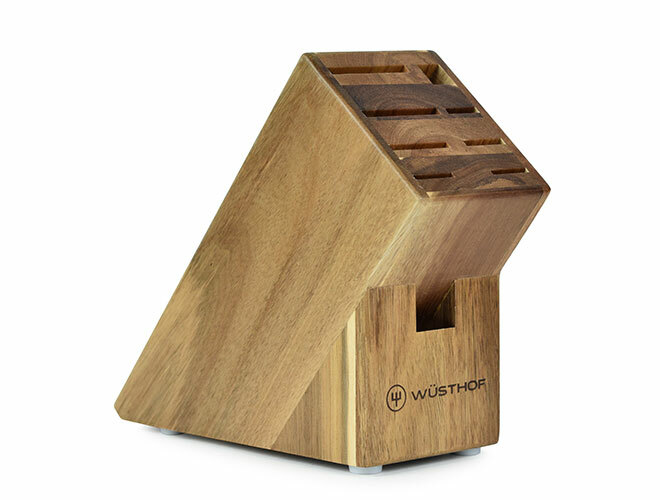 Constructed of natural wood; rubberized base for stability.